I'm one of these people who wants to do good and help out charities and foundations on the amazing work that they do but never actually get involved and thats my biggest flaw, so when Beth at Beauty In Beta told me about the work she does with an amazing foundation called The Willow Foundation, I had to share the good work that they do. The Willow Foundation is a charity that organises special days for seriously ill people between the ages of 16 and 40. These special days are created for the person to spend some real quality time with family whist either creating happy memories or experiencing something they would never of dreamed of doing before. The foundation was created by a gentleman called Bob Wilson who was a former Arsenal goalkeeper and his wife, in memory of their daughter who passed away by cancer. I absolutely love the idea of this foundation and what they're doing for ill people is amazing. 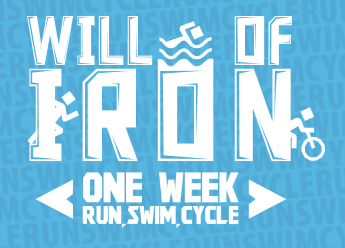 In May, The Willow Foundation have organised a Triathlon event called Will Of Iron that is going to be held from the 2nd to 8th in order to raise money for ill people's special days. Its a great idea and all of you super active 'healthies' will love it. If you're unaware what a triathlon is, then its a distance of running, swimming and cycling in one event. Sound's tough right?! But just think, its for an amazing cause! - You can do it by yourself or split the triathlon up between you and some friends if its all a little too scary! You can collect sponsorships to do the event too which will help greatly to the cause. It's a great way to get some exercise and to help a good cause too. So, what are you waiting for? Get on those trainers help donate to someones memories! Please let myself or Beth know if you are interested in volunteering or doing some work with the foundation, of course, every little helps so spread the word too!